Parambikulam Dam is an embankment dam on the Parambikulam River,  Parambikulam located in the Palakkad district in the Western Ghats of Kerala, India, ranks number one in India as well as in the top ten embankment dams in the world in volume in the year 2000. This Dam was built at the time of Kamarajar. The dam is operated and maintained by Tamil Nadu but the ownership rests with Kerala, Per the agreement with Tamil Nadu, Kerala was supposed to receive 7.25 TMC feet of water per year from the Parambikulam-Aliyar Project of which the Parambikulam Dam is a part. In 2004, Kerala did not receive any water after February 10, resulting in the drying up of paddy in thousands of acres in Chittur taluk. Since this agreement has still not been met as of July 2006, Kerala Water Resources Minister has called for a review of the project agreement. On 17 October 2012, Kerala and Tamil Nadu reached an accord on Parambikulam-Aliyar water. Wikimedia Commons has media related to Parambikulam Dam. ^ a b c "Tamil Nadu since the state is incontrovertible sole owner of the Mullaperiyar dam and all its appurtenant structures - Tamil Nadu Chief Minister Jayalalithaa". ^ a b c "Ownership of dams rests with Kerala, asserts Chandy". ^ "Indian Dams by River and State". 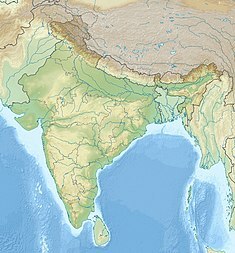 ^ "Indian Dams". diehardindian.com. Archived from the original on 2006-12-13. Retrieved 2006-10-18. ^ Prabhakaran, G. (15 March 2004). "Move to use dead storage in Parambikulam dam". The Hindu. Retrieved 2006-10-18. ^ "Under cloud, by K.K. Mustafah". BusinessLine. Retrieved 2006-10-18. ^ "Kerala and Tamil Nadu reach accord on Parambikulam-Aliyar water". newindianexpress.com. Retrieved 2012-10-17. This article about a dam, floodgate or canal in India is a stub. You can help Wikipedia by expanding it. This page was last edited on 20 March 2019, at 12:44 (UTC).